2000 foal, Australian bred to Southern Hemisphere season. Ran four times at 2yo winning twice in a 5.5f maiden and in the 6f Grade 2 Todman Stakes. Acquired by Sheikh Mohammed during his 3yo season when he won 5 of his 8 starts and was names as Australia's Champion Sprinter. Won Grade 1 events over 6f & 7f and three 6f events at Grade 2-3 level. Ran once as a 4yo when 19th in a Grade 1 race as 4/1 favourite and then retired. Stood a season in Australia for Darley and then brought to Britain for the 2005 european covering season. 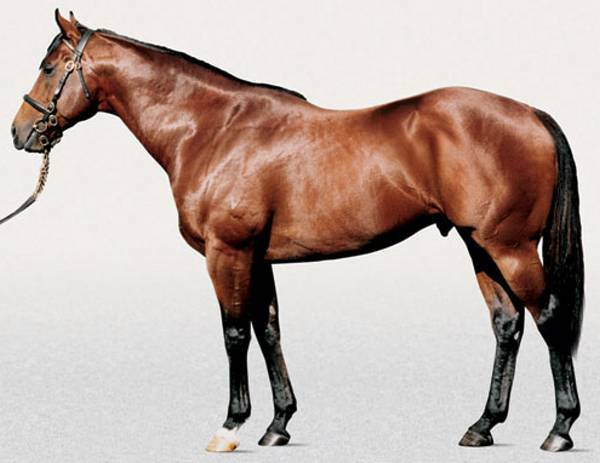 First Season Sire in 2008 with a high number of 68 yearlings sold in Europe in 2007 for an average of 53,300 guineas.